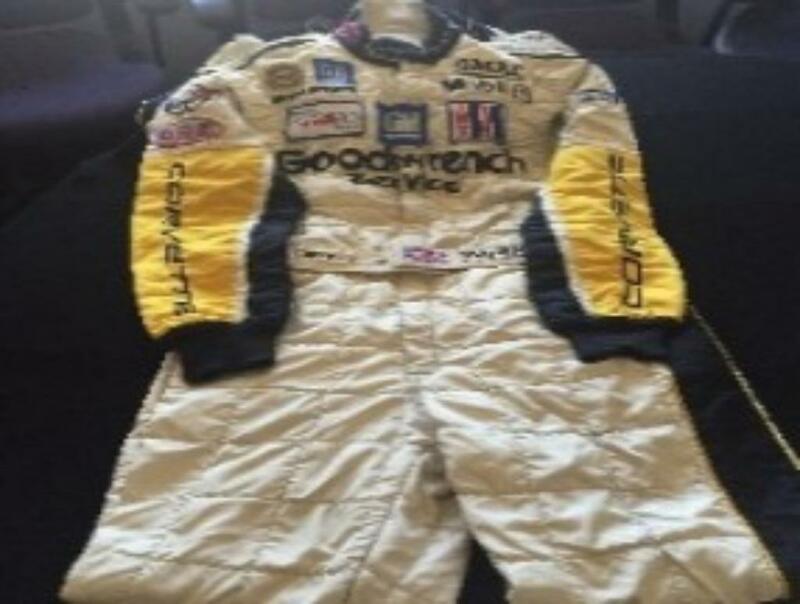 Corvette Racing driver Oliver Gavin driver firesuit from the C5R era. Gavin has the most tenure of any driver in the Corvette Racing program and is currently in his 15th season with the team. He was the co-driver in five of the eight class victories at the 24 Hours of Le Mans.